Summer Lovin Color is the etsyBEAD's "Theme of the Week". 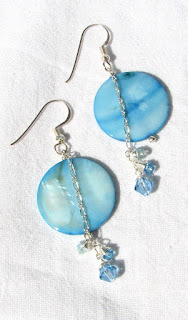 These special earrings are themed for this week and on SALE for $10 (Reg. $15) and will be $15 next week. So, hurry and buy before their GONE! View the "Theme of the week" section in my store to see the other themed items this week. Click here to view other etsyBEADer's items "Theme of the Week".